This is the tablature that goes along with my video. How about playing a song for us! How many times have you heard that! There are two things you can do at this moment, shuffle your feet and mumble some excuse about not knowing what to play OR take charge of the moment and play a song that will put a smile on everyone’s face and enjoy the rest of the day (or night). I’m willing to bet that most would do the first thing. I know I have, and I hated the feeling. Be honest now! If you play a musical instrument then you have been asked to play a song at some point for someone or a group of people in a casual situation. Everyone knows you play music and they just want to hear a song, how hard can it be? Pretty difficult until you get over yourself and simply play some music. You see, I found out a while ago that no one cares if you know a million scales, chords or blues licks. In fact, no one really cares that you can play a Little Walter solo note for note or can jam for an hour with your vintage JT-30 mic and tweed Bassman amp. People want to hear a song. Let me tell you a true story. A few years ago I was camping out with a large group of people and there were a few who played guitars but didn’t bring them. I had mine and so there we were hanging out and someone said to me “how about playing a song”. Now I’ve been playing musical instruments for a very long time, and I can play pretty well and know chords and scales and loads of licks and can improvise well. So then why was I like a deer in headlights? Because all that stuff, the chords, scales, licks and whatnot are not music but simply the components that make up songs and songs are music. I did the foot shuffle thing and played some blues licks and other boring stuff and was glad when everyone found it boring and went on to other things. That wasn’t going to happen to me again. 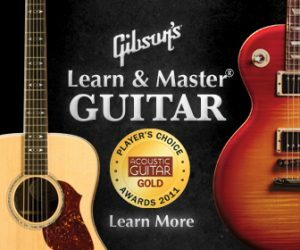 I started learning complete songs. (sounds obvious but most people only learn the hook or maybe the first few bars). The takeaway of my little story is that to be a musician whether you play blues, country, jazz, pop or any other style is to know tunes and songs that people will recognize. Does this mean we can only play some top 40 song? Not at all but it helps to play something somewhat well known before launching into an obscure tune that just sounds like a bunch of blues licks. Foe me in addition to blues, I especially like bluegrass and old time music. So I might play a song such as “Sittin’ On Top Of The World” and then maybe a simple fiddle tune such as “Soldier’s Joy”. Tell me your foot shuffling story in the comments section below and if you decided to do something about it! As a harmonica player, it’s easy to get caught up in listening only to a few favorite blues harp players. We all have our favorites mine being, William Clarke, Little Walter, Jerry Portnoy, Big Walter Horton Adam Gussow and a few others. If I only listened to these great blues harmonica players and no others, I would still be getting a lifetime of lessons on how to play blues harp. That’s all well and good but it’s a big world out there and by limiting yourself to only a few musicians or bands you are missing out on so much more great music. In addition to listening and studying blues harp players, it’s also great to listen and study musicians on other instruments as well. There is so much to learn about, phrasing, note choice and tone. In addition it will introduce you to other positions on the harmonica and possibly encourage you to seek out alternate tuned harmonicas such as the Lee Oskar Melody Maker and Harmonic minor tuned harps. Take a song you like with a laid back melody (not too many notes) played on a trumpet or saxaphone and figure it out on your harmonica. First determine if it is in a major or minor key. That will determine what harmonica and position you might start out in. Next try and find where the notes fit on your harmonica. This might take a few tries to figure out which key harmonica to use. Then pick out the notes of the melody and play along with the recording. Note: many times the melodic line a song or solo moves to a different key. Don’t worry, you can either figure out what position to use for that part of the song or simply pick up a different harmonica to play that section. I realize is is a little more difficult than I make it sound in a few paragraphs. The key is to not give up! Go slow and if it takes a while to figure out a few notes, no problem! you are on your way. take a break for a job well done and go back to it later and get a few more notes. 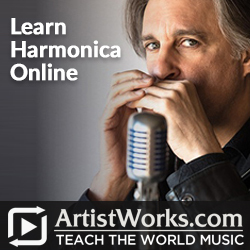 By doing this over and over you will be adding to your harmonica vocabulary and eventually you’ll have a unique voice on the instrument, not sounding like everyone else. Harmonica great Little Walter’s song “Juke” is one of the best and easiest to perform examples of the tongue blocking technique. If you haven’t heard the song, Go and get it right now! Juke is a song every harmonica player should know. I will be creating releasing a lesson on how to play “Juke” including Little Walter’s solos but here is a taste in the meantime. The tongue blocking part is the last 2 notes the 3/6 split. Simply cover holes 4 and 5 with the tip of your tongue and use the sides of your mouth to blow through holes 3 and 6. This will take some practice so go slowly and work up to speed gradually. Note that there are no bent notes in the Juke melody. Simply use blow and draw techniques to play it.